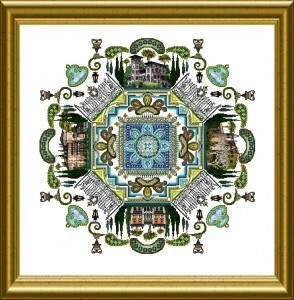 This design is again a Mandala – with different sides, views and villas.The lush landscapes of North Italy are captured in small views with lots of intricate stitching. 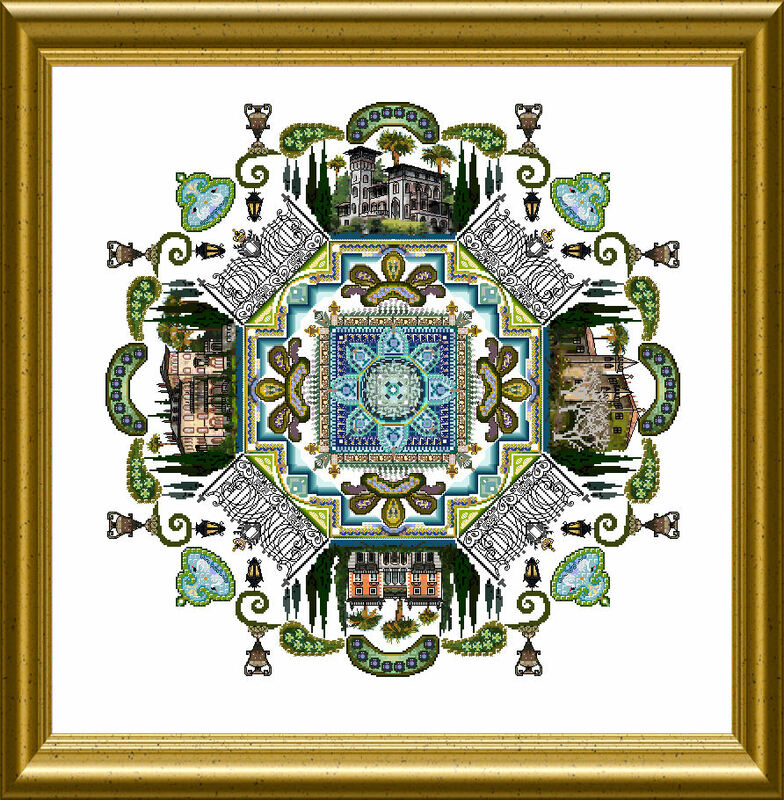 The famous Villas at the Lake Como are embedded in ornamental parts of this Mandala. 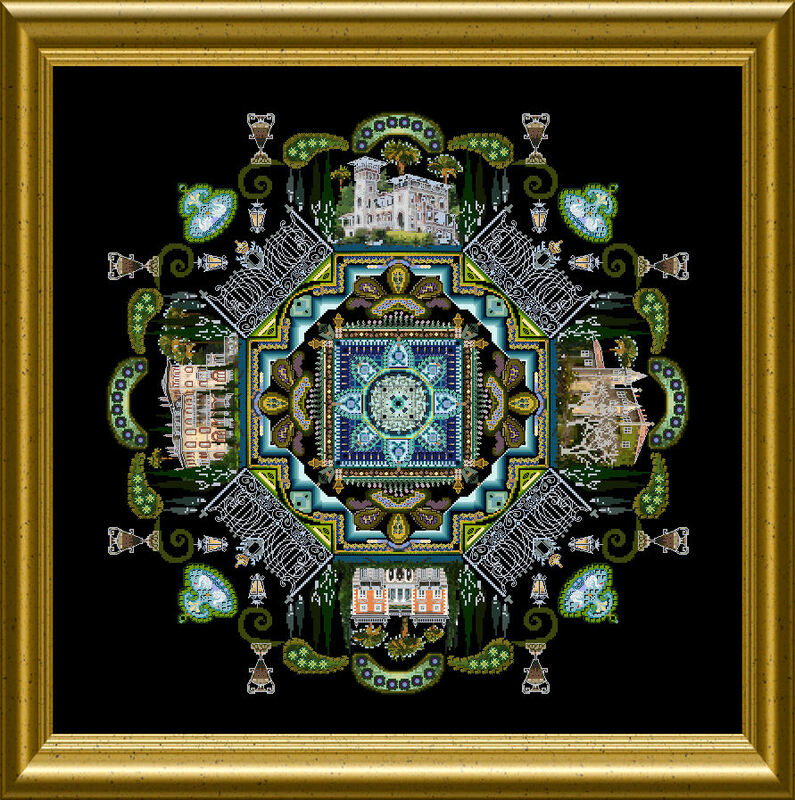 You will stitch mainly cross stitch which is embellished with many different Special Stitches, using variegated silks, metallic braids, silk perles and many other interesting threads. 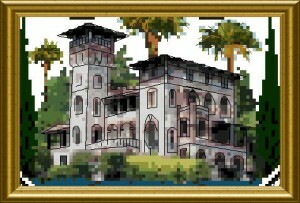 Beads and Crystals are used for further adding interest to your embroidery. 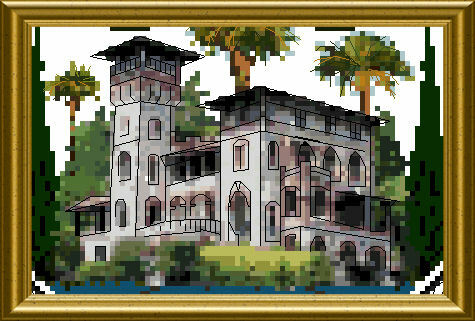 Is the Lake Como pattern available?